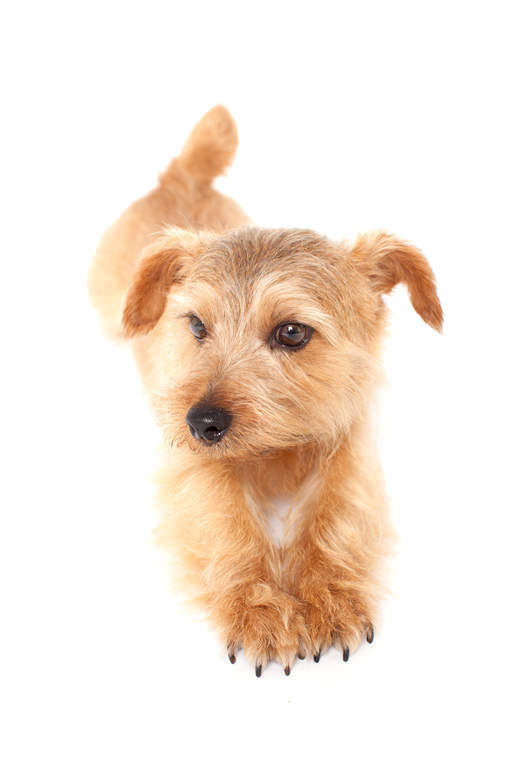 The Norfolk (and Norwich) Terrier was developed in England around the 1800's and was bred to control vermin on farms and larger houses. 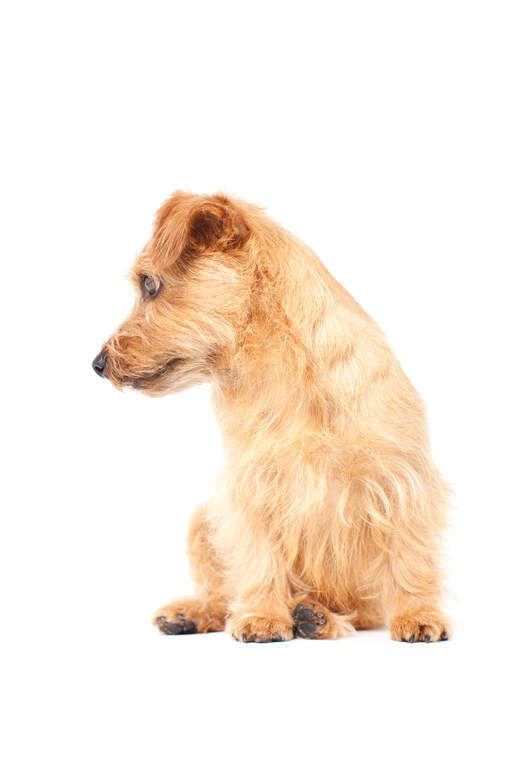 Believed to be a cross between Border, Cairn and Irish Terriers, the breed gained popularity as a pet due to it's friendly nature. 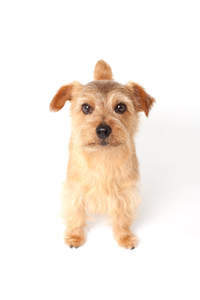 The Norfolk Terrier has dropped ears, where as the Norwich Terrier has upright ears. 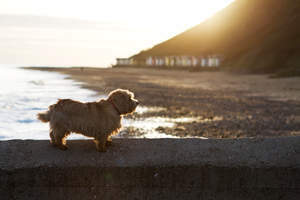 The breed were classes as the same when they were recognised as separate in 1964. The Norfolk Terrier is a happy, playful and active dog, loves being around people and is always up for fun and adventure. They like to explore their surroundings and investigate any noise they hear. They do well with children and strangers generally, although will bark to sound the alarm, but usually welcome everyone into the home. Like most breeds they like to be around people and don't do too well on their own for long periods, which can lead them to bark if bored. They are independent and can be a bit stubborn at times. Being bred to catch vermin, they can obsess over small pets in the home and cannot be trusted around them. 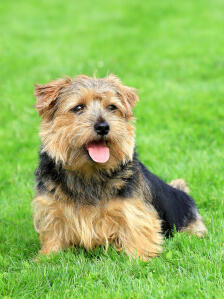 They are ok with cats if brought up with them and usually fine with other dogs if properly socialised. Training takes time and patience. 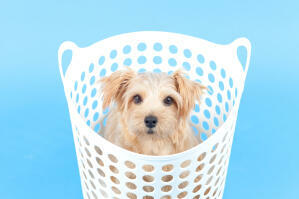 They are sometimes tricky to house train plus recall and the Terrier mind are hard work. It is best if they are walked in a safe area or on a lead, due to their prey instinct. They are very active for such a small dog and like the chance to run around. Any game where they get a chance to play with you and tire themselves out will work. Digging can be a problem in the garden, so having a sand pit area will save them digging over your flower beds. 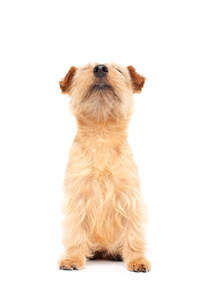 Teaching the 'quiet' command early on will help with barking issues, but training will require positive enforcement with praise and treats as they react badly to harsh treatment. Keep training sessions short and make it fun and they will soon pick up what you are trying to teach. Earthdog trials and obedience are one way to keep their minds occupied. They will need regular walks and will happily walk all day. You will struggle to tire them out, but when they are content, they will sleep next to you on the sofa, as close as they can get. They are loyal and good natured dogs, who will make you happy. 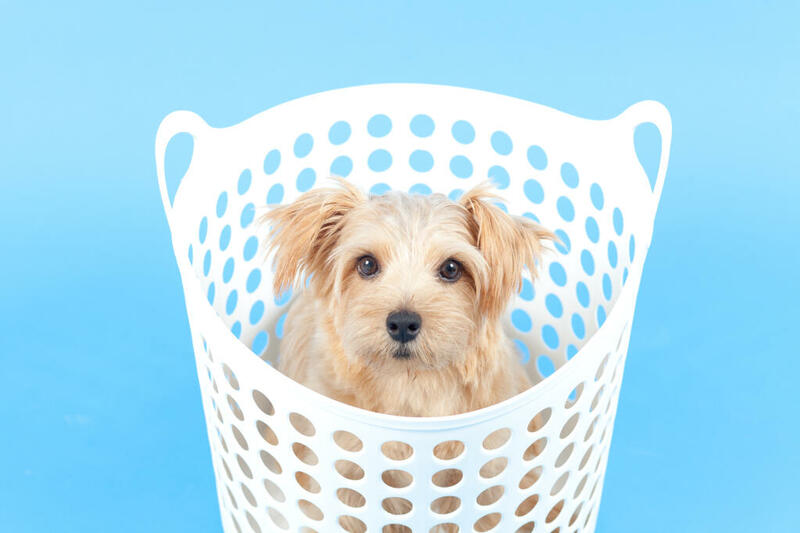 The outer coat is dense and wiry and needs brushing a couple of times a week, plus stripping 3-4 times a year to remove dead hair. Health wise, Canine Hip Dysplasia is sometimes seen, but generally Norfolks are a healthy, long lived breed. Some can develop allergies. Norfolk Terriers have a sociable but stubborn temperament. They are inquisitive in their surroudnings and enjoy a decent daily walk. More socially accepting than a lot of terriers they can just about get along with cats and other dogs although pets of the rodent variety should be kept far away, they are after all, still a terrier. 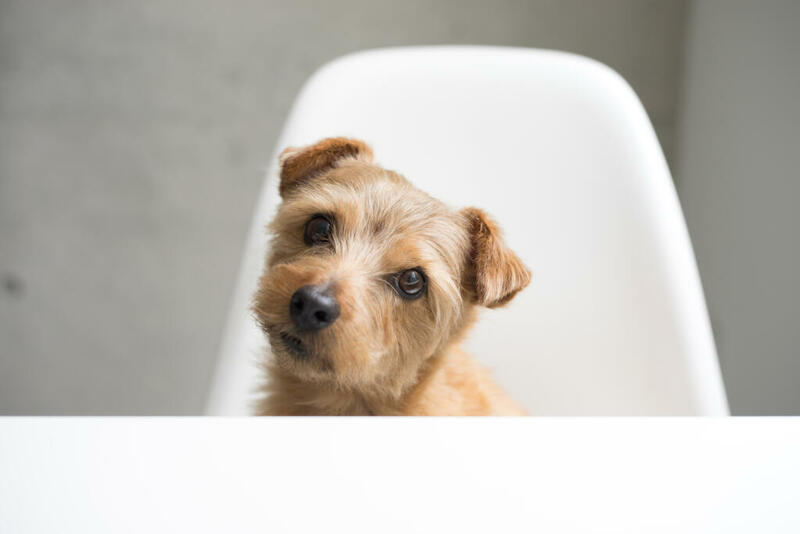 Health problems that may affect Norfolk Terriers include canine hip dysplasia (CHD), elbow dysplasia, luxating patella (dislocation of the knee cap), allergies, cataracts, heart disease and intervertebral disc disease (pressure on spinal cord that can cause paralysis).